AKIPRESS.COM - The European Bank for Reconstruction and Development is hitting its lending limit with Kazakhstan’s sovereign wealth fund, risking a sharp drop off in its annual 1 billion euro lending programme to the country. Kazakhstan became the EBRD’s second-largest country of operation by volume last year behind Turkey, as investments in mines to solar parks took its exposure there to a record 2.7 billion euros ($3.2 billion), Reuters reported. The EBRD expects to pump in another significant amount this year, but thereafter the amount could fall back. The reason is a unique one. Many of the EBRD’s larger Kazakh investments have been made with the country’s sovereign wealth fund, Samruk-Kazyna, which oversees over $67 billion of state-owned assets and infrastructure. Data provided to Reuters shows that the development bank now has a total of 10 projects with Samruk-Kazyna, worth a total of 881 million euros ($1.04 billion), as well as a slice of a Eurobond. That adds up to more than a third of the EBRD’s total Kazakhstan portfolio and means it is now close to its “single obligor limit”, a risk management rule designed to stop it building up too much exposure with any one counterparty. “The way we have reached the limit is because we have been investing quite significantly in recent years,” the EBRD’s head of Kazakhstan operations, Agris Preimanis, told Reuters. Kazakhstan, an exporter of oil and metals, is the only former Soviet republic that is still run by its communist-era leader, the 77-year old President Nursultan Nazarbayev. The EBRD, set up in 1991 to help former communist bloc members transition to market economies, has seen its lending in Kazakhstan explode, virtually quadrupling since 2011 from 289 million euros to almost 1.1 billion euro last year. Preimanis wouldn’t say how much it was likely to fall next year. It could lend with others, but Samruk-Kazyna is so omnipresent in the country’s main industries Preimanis acknowledged it will be difficult to do so, especially as investing in state-controlled assets to prepare them for privatisation was one the EBRD’s central tasks. “You cannot take away an important counterparty and immediately replace it, so we just have to manage that,” Preimanis added. Samruk-Kazyna had no immediate comment on Friday. A banker at Mitsubishi UFJ, another lender which works with the sovereign fund and coordinated Samruk-Kazyna’s $1.5 billion syndicated loan in 2015, said it “continued to see a strong demand for this credit among investors”. Though the single obligor issue is a specific problem for the EBRD, it is only the latest headache for the bank as it tries to maintain lending levels having stopped new investments in Russia, once a 10 billion euro market for the bank. China-led “Belt and Road” projects and greener energy drives could help make up some of the gap in future but in the nearer-term neighbouring Uzbekistan could be a beneficiary. 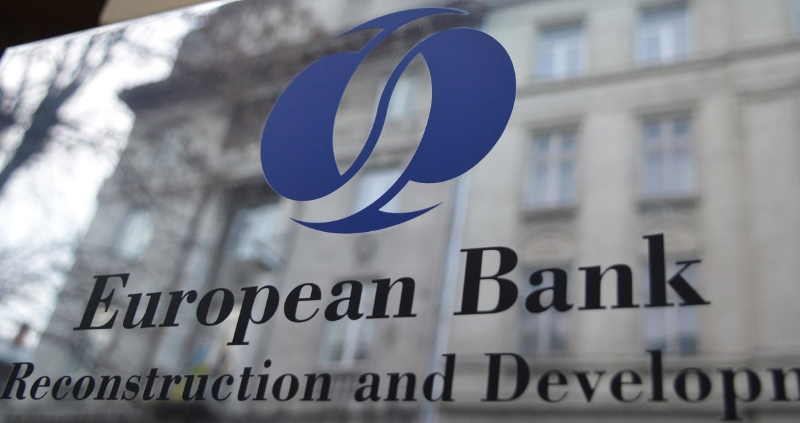 It has began to repair relations with the EBRD this year after a decade-long absence and though it is only a fraction of the size of Kazakhstan it is Central Asia’s most populous nation and is largely untapped from the EBRD’s point of view.